As far as I'm concerned watches aren't just for telling time...they're an accessory! 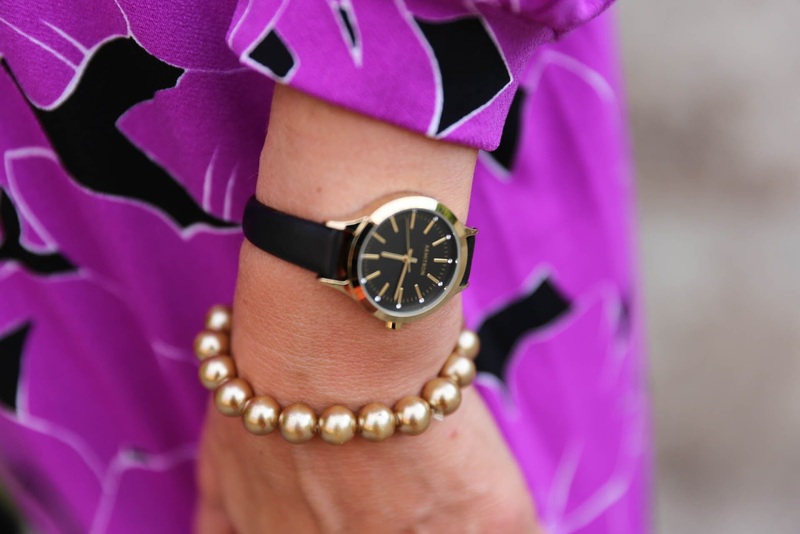 A beautiful watch adds style and detail to any outfit. But why have one watch when you can have a collection? Especially when the line is super affordable! 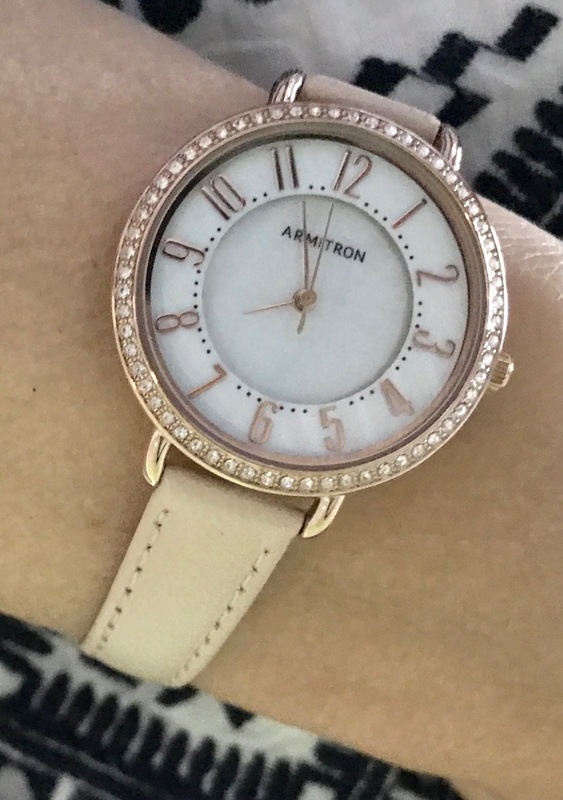 I recently rediscovered Armitron Watches--an over 60 year old company with the philosophy that everyone should be able to rock a stylish watch at a great price. Watches for all and lots of them! Armitron watches only look expensive. This gorgeous grey leather strap watch with Swarovski crystal accents is just $60! Yes, you heard me right! 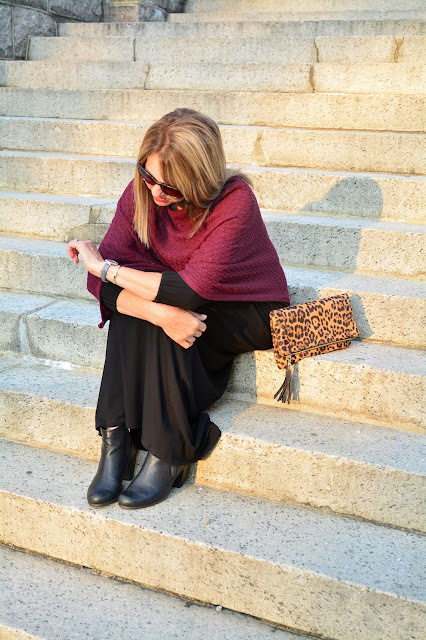 Burgundy Yala poncho here. And check out this stunning classic black leather strap watch with Swarovski Crystals also just $60! This watch is so gorgeous layered with a gold bracelet or two. Dress here. Then there's this stunner for you rose-gold fans....the Mother of Pearl face is exquisite! I love it with animal print--similar bag here. This blush leather strap watch with Mother of Pearl and Swarovski crystal accent goes with everything and is just $60! 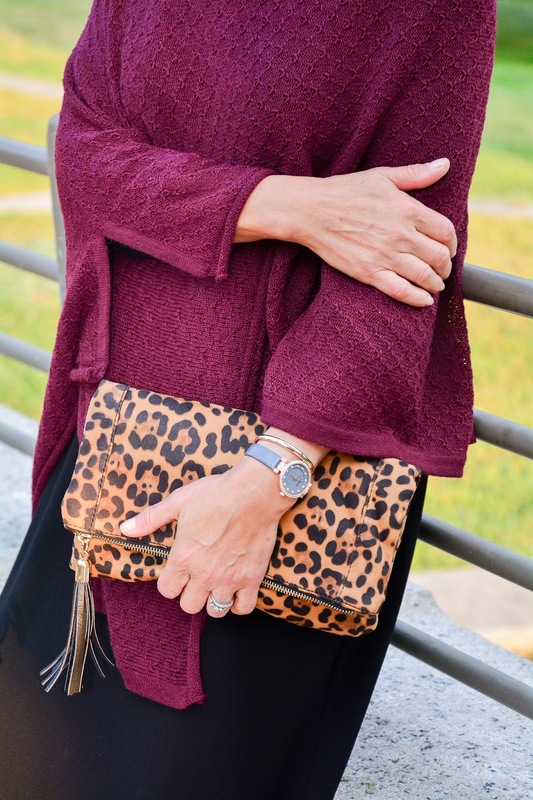 So if you're looking to do a little fall accessorizing, add a few watches to your jewelry collection. 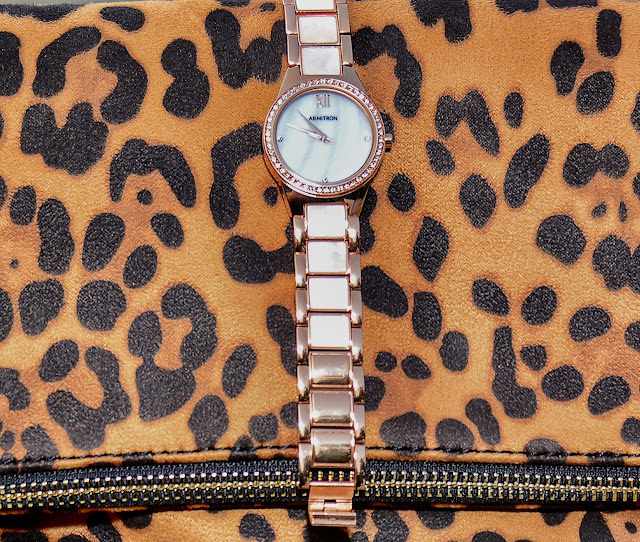 Make a bold statement with an oversized watch, bling it up with sparkle, or go classic with a simple leather band style. 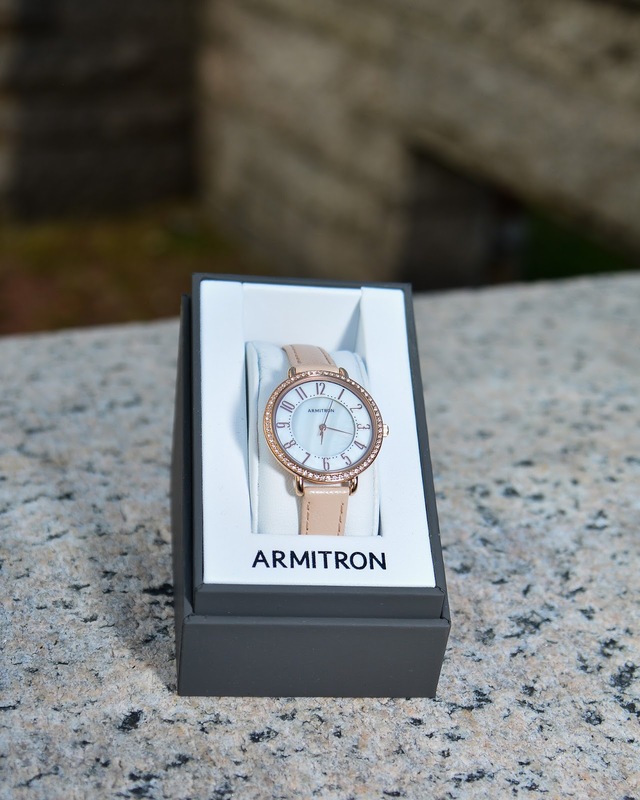 Thank you to Armitron Watches for sponsoring this blog. I have been floored by this company's huge heart. They will soon be launching a special Uncommon Threads watch this holiday season, with a portion of the proceeds to benefit the program. I am truly grateful to their kindness and generosity, so please stay tuned to find out how you can empower women with a limited edition watch. 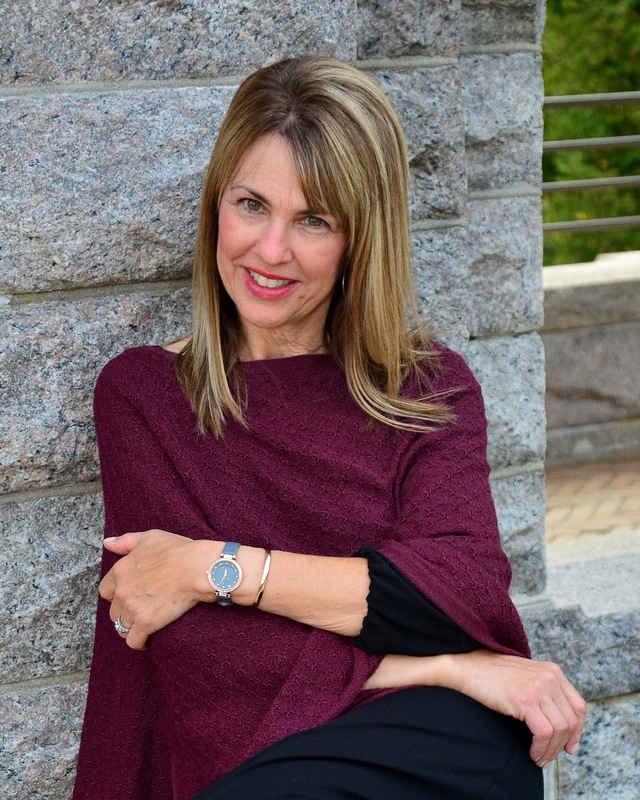 Armitron sponsored this blog and the watches and Yala poncho were gifted. Some of the links generate a small commission. However, the content of my posts are based on my own honest opinions and are not in any way influenced by partnerships. I only post what I love! i just bought the blush leather watch for my mother. Such a good post and recommendation! Thanks Susan! !